Below is a list of the most frequently-asked questions we get asked when customers make an enquiry with us. If you have any questions, the list below is a good place to start. If you don’t find the topic you are looking for, or would like any more information, please contact us and we’ll do our best to help. How much will it cost? Do you have a price list? Our services can be aligned according to your budget, as we are able to offer a range of services from just hair styling to a full makeover! Please refer to the website section for the particular service you require. Filling in the booking form. Reading the terms and conditions. Paying the 40% deposit to secure the wedding day booking. 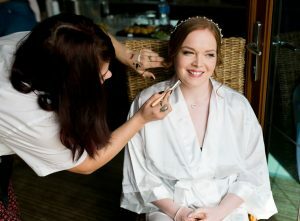 Making contact with your hair and /or make-up artist to set up your wedding trial appointment. The booking terms are specific “terms and conditions”, laid out when booking through the Elloise India Weddings web site. They should be read prior to making the booking. Click here to view our Terms and Conditions page. Do I need to have a hair and/or make-up trial prior to my wedding? We at Elloise India Weddings, always want to make our brides look and feel great and for the best results we would say in most cases, that we would recommend all potential brides to have a wedding hair and /or make-up trial prior to their wedding day. However, in some cases it may not be possible, due to time limitations or possibly distance. In that instance, we would gather as much information as possible prior to the date and ensure a thorough consultation takes place on the day before the wedding hair and/or make-up is carried out. Like any trial or practice run, it allows you the time to iron out queries, or worries that you have about your wedding hair and/or make-up, by trying out various options and possibilities. It gives us the chance to thoroughly consult with you, finding out about the look and feel that you are trying to achieve. Your stylist will give you lots of advice and helpful tips on creating great wedding hair and/or make-up, ensuring you’re happy with the finished result. We also take into consideration the style of the dress which may affect the final wedding look. The trial is also a great opportunity to get to know your stylist, which means your wedding morning should be totally relaxed, calm and enjoyable. We recommend that a trial should be done approximately three months prior to your wedding. This gives you time to make any changes if necessary and have any additional trial appointments if needed. The wedding hair and make-up trial will probably take approximately up to two and a half, to three hours. It depends on how many looks are tried; the length of the hair and what else is involved. Occasionally, you may feel you want to come for a second trial, if you’re not totally sure about the first and you want us to try some other looks. For separate hair, or make-up trials, the amount of time would generally be about one hour for make-up and one and a half – to two hours for hair. These times are approximate and may vary. Where do I go for a trial? Your wedding hair and make-up trial can be carried out and fitted around a time that is convenient to you. The location of the trial will generally be at the artist’s home, but arrangements can also be made to travel out to other specific places possibly more suitable to you. This will be specific to each individual artist. Should I wash my hair before I arrive? Generally, we recommend our wedding clients not to wash their hair prior to their trial. The hair is generally more manageable and a better effect is achieved when washed the day or evening before. There are of course exceptions to the rule. Also, if your wedding hair trial involves being blow dried, we would then need to wash your hair at the time of the appointment. Do I need to bring my make-up with me, or do you supply it? If you wanted to bring any specific make-up, that you would like us to use at you make-up trial, please feel free to do so. However, we do supply all the make-up at the appointment. Lots of brides really enjoy the experience of being made up professionally and generally gather lots of helpful tips and ideas to take away. I have problem skin; can you recommend any specific make-up brand that I can get great coverage from? If you suffer from problem skin, we recommend that you try Jane Iredale mineral make-up. Jane Iredale gives complete coverage for skin conditions such as Acne, Rosacea and any redness following treatments such as chemical peels or resurfacing. The product is also anti inflammatory, helping sooth and calm irritated skin and also, doesn’t contain parabens. We will gladly help and advise you with any skin problems and work with you to create great coverage, increasing your confidence and making you feel totally gorgeous. J.I. has a great range of make-up that we can use to suit the wedding look you would like to achieve. It is important that every bride feels amazing on her wedding day. If I don’t know what I want, can you give advice? If you’re not actually sure how you want your hair and/or make-up, we will be happy to talk and guide you through various looks and ideas, giving you lots of helpful advice. It is always useful to start collecting a few pictures from magazines of images that you like. It may even be a particular theme that you are trying to create and this may be useful to the final finish. My hair is not long enough for the style that I want, is it possible to have a hair piece? If you feel your hair isn’t long enough for the style that you are trying to achieve, there are some great hair pieces, wefts and hair additions that can be added to the hair and will easily create extra length and volume. Bridesmaids don’t necessarily need a trial; this is entirely up to the bride. However, it is a good idea to bring current pictures of your bridesmaids and pictures of what you want them to have on the day. We can then discuss and plan what can be done, how easily it can be achieved and we are happy to suggest various options. Should I bring anything with me? e.g. tiara or veil? It is always a good idea to bring your tiara and veil along to your wedding trial, or any other accessories. It will be a great opportunity to try them on with your finished hair and make-up look and be sure that you are happy with how they are working together. If any small changes need making, they can be done before the day. I don’t have a tiara or veil; can you give me advice on other accessories? Advice can be given on wedding accessories on what to have and use. Also, an on line shop will soon be available, whereby products will be available to purchase directly through the Elloise India Weddings web site. Clients may pay for their wedding hair and/or make-up deposits, either by bank transfer. Trials can be paid directly to your stylist with either cash or cheque on the day. We at Elloise India Weddings can also arrange for you and your wedding party to have hair accessories made or we can arrange fresh flowers to be put in your hair for your wedding day. 48 hours of the making the initial appointment. Please see terms and conditions. Notification should be given by email or telephone. is not totally satisfied, they will eligible for a 50% refund of their deposit. period are non-refundable or transferable. right to cancel the booking if done within 48 hours, providing they abide by the terms and conditions.